Jermaine Pennant had an interesting career as a footballer and it is 20 years since that journey started when Arsenal signed him as a 15-year-old. On February 8, 1999, the Gunners signed the teenager..
Jermaine Pennant revealed he was partying until 6am before scoring a hat-trick on his full Premier League debut with Arsenal. At just 15, the winger was signed for £2million from Notts County by..
FORMER Arsenal star Jermaine Pennant admits he was hungover from a vodka binge the night before his Gunners debut. Jermaine Pennant has admitted that he had been out partying until 6am the night before he sensationally scored a hat-trick on his full league debut for Arsenal in 2003. 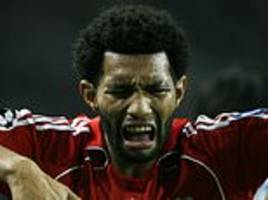 Jermaine Pennant has claimed he was in talks to sign for Real Madrid from Liverpool, but saw his chances of playing at the Bernabeu come to an abrupt end when Juande Ramos pulled the plug. 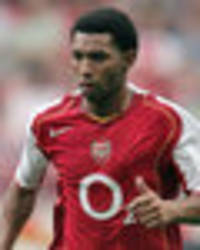 Jermaine Pennant had all the talent needed to reach the top of football but he never quite the heights expected of him. Still, he had a pretty decent career – you’ve got to have something about you..
Jermaine Pennant and wife Alice Goodwin admitted their marriage turned 'hostile' after his flirtation with Chloe Ayling in the Celebrity Big Brother house. 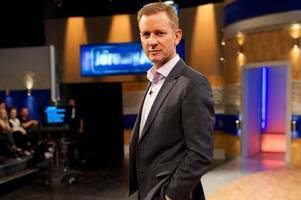 Former Wolves winger Jermaine Pennant made a shock appearance on ITV's Jeremy Kyle show this week, refusing to take a lie-detector test amid rumours of infidelity. Jermaine Pennant and wife Alice Goodwin appeared on The Jeremy Kyle Show [ITV] Jeremy Kyle claimed he paid for Jermaine Pennant and wife Alice Goodwin to try for a baby, as they revealed their family..
JERMAINE PENNANT has appeared on the Jeremy Kyle Show following his slip from football star to Celebrity Big Brother love rat. Former model Alice, Jermaine's wife who is from Stoke-on-Trent, appeared on this morning's show along with her husband, admitted how devastated she was watching her husband's flirting antics with Chloe..
Jermaine Pennant flat out refused to do a lie detector test on the Jeremy Kyle show after the nation watched him get cosy with Chloe Ayling in the CBB house. 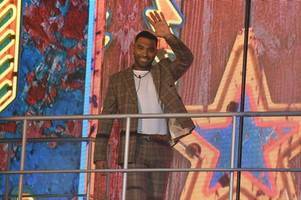 Jermaine Pennant made an appearance on The Jeremy Kyle Show [ITV] Jermaine Pennant refused to do a lie detector test on The Jeremy Kyle Show as he revealed he and wife Alice Goodwin are trying for a.. The footballer is said to be determined to make amends with his wife Alice Goodwin, reportedly pulling out all the stops by hiring a luxury yacht in Dubai for a romantic proposal. Jermaine Pennant has whisked his wife Alice Goodwin off on holiday [Getty] Jermaine Pennant has whisked his wife Alice Goodwin away on holiday after the footballer left her feeling “embarrassed”..
Chloe Ayling and Jack Harrison attended the National Reality TV Awards [Splash News] Chloe Ayling hit headlines after flirting with Jermaine Pennant in the Celebrity Big Brother house, despite him..
Chloe Ayling arrived with Jack Harrison hand in hand [Splash] Chloe Ayling appeared to confirm new romance with Jack Harrison on Tuesday night. Arriving at the National Reality Television Awards arm..
Alice Goodwin and Jermaine Pennant attend the National Reality TV Awards together [Getty] TV stars flocked to the red carpet at the National Reality TV Awards on Tuesday night at Porchester Hall in..
Alice Goodwin and Jermaine Pennant attended the National Reality TV Awards [Getty] Footballer Jermaine Pennant headed to the National Reality Television Awards alongside wife Alice Goodwin – just..
Celebrity Big Brother: Chloe called Jermaine disgusting as she learned the truth about his wife [Channel 5] Chloe Ayling and Jermaine Pennant are set to come face-to-face at the National Reality TV..